I absolutely love this coffee. During the summer it is so refreshing and certainly gives you that afternoon pick me up that we are all looking for without breaking the bank! 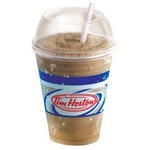 I used to love these and believe not just at 1.00 days all year round But at this location I am forever asking myself why we keep wasting our money they have no taste just a bitter cheap coffee . I love my local McDonald’s. I’m addicted to the coffee frappe with caramel added. It used to be called something elts but I just can’t remember. When it was canceled, the girls figure out how many pumps of caramel to give me a frappe that tasted the same. My McDonald’s is one inside a Walmart so it’s smaller then the stand alone. I used to come in wearing my mechanics overalls that had my name on them, so they started all I g me by name. It’s Horton to the point that my sister just has to ask for Shannon’s drink and they make it. The staff has always been so friendly with me and my kids. The carmel frappuccino at mc donalds is my favorite. 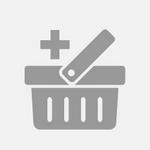 It has a good tast that os not over powering and the price is much less then some of rhe bigger coffee shops. 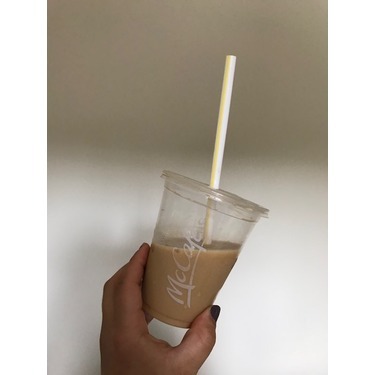 McDonald's iced coffee is a favorite of mine to grab on the go when I need a little pick me up. It's sweet and delicious. The vanilla flavor is my favorite. 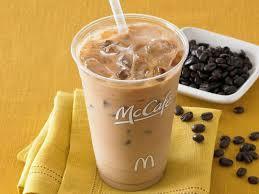 McDonalds iced coffee is just the right mix of sweet and caffine to get my morning going. During summer nothing is more refreshing than an iced mocha to beat the heat. 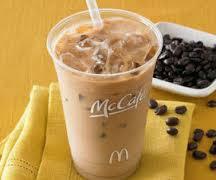 I absolutely LOVE the McCafe Iced Coffee...I always request it to have the mocha flavor. I look forward to these every morning! It's even better because right now all sized iced coffee is only $1 (where I live)! 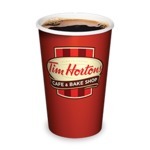 These coffee are the highlight for my hot summer days! I use to purchase the regular ice coffee from Starbucks. 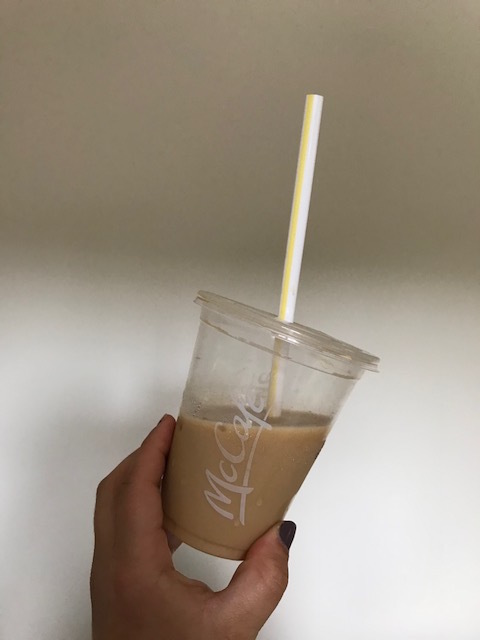 And I realized that this regular McDonald Ice coffee taste exactly the same. The coffee taste is smooth and the ice coffee is not watered down. 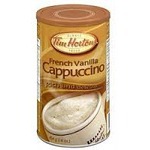 I like it original as I don't like adding syrup as they are too artificial and sweet. 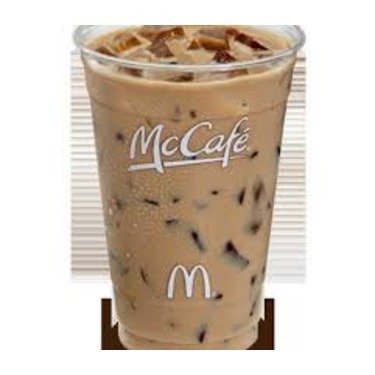 Download the McDonald app and they have specials where you can get any size coffee for $1. 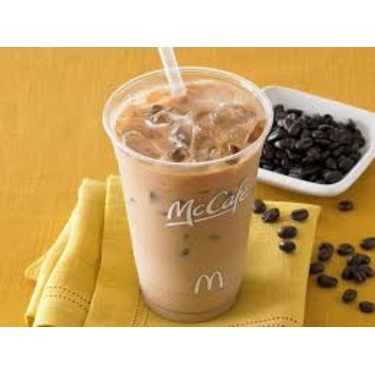 The McDonald's Iced Coffee is the highlight of my summer... especially with their Dollar drink special. I do find the iced coffee on the sweeter end so I usually ask them for 1 pump of syrup instead.